This blog is a follow up to my previous contribution on the validity of Unilateral Extension Options (hereafter UEOs) under national and European law. 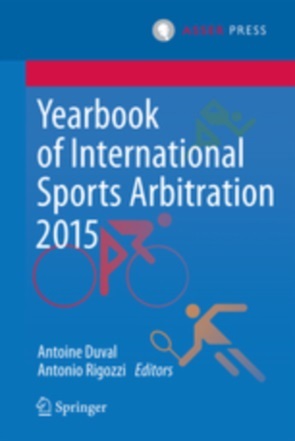 It focuses on the different approaches taken to UEOs by the FIFA Dispute Resolution Chamber (DRC) and the Court of arbitration for sport (CAS). While in general the DRC has adopted a strict approach towards their validity, the CAS has followed a more liberal trend. Nonetheless, the two judicial bodies share a common conclusion: UEOs are not necessarily invalid. In this second blog I will provide an overview of the similarities and differences of the two judicial bodies in tackling UEOs. the option has to be clearly emphasized in the original contract so that the player can have full consciousness of it at the moment of signing. These five requirements, proposed by Prof Wolfgang Portmann, were meant to represent the standard UEOs had to meet in order to be considered valid and biding upon the players. More precisely, in order not to constitute an excessive self-commitment that would result in a violation of Swiss ordre public. They emerged in the course of the South American Bosman as Prof. Portmann’s report was presented by Atlético Peñarol in the (unsuccessful) attempt to uphold the validity of the unilateral option the club had used in its employment contracts. From that moment on, the Portmann criteria became a recurrent theme in decisions by the DRC and the CAS. However, these criteria have been used over the years in a rather incoherent fashion and their importance in the assessment of UEOs is not unequivocal. Thereafter, in its first decision, the DRC used the criteria to assess the validity of an UEO. But then it drastically drifted away from them. Actually, in the ensuing decisions the DRC did not refer to the five conditions at all. In some instances it limited itself to recall its established jurisprudence finding the validity of UEOs disputable since they give the stronger party in the employment relationship the power to unilaterally extend or terminate the contract. In another occasion, the DRC expressly dismissed the binding effect of the Portmann report, underlining that it only constitutes a non-binding recommendation. Furthermore, interestingly, in the appeal proceedings of the Atlético Peñarol case the CAS did not mention the Portmann report in its evaluation of the UEO. The Panel only referred to it in the part of the award that assessed the question of the applicable law and noted that Prof Portmann’s starting point was radically different from that of the Panel, as he deemed Uruguayan law applicable to the dispute, while the Panel applied Swiss law/the RSTP. Having said that, the CAS also seems to have departed from its initial approach, but in a rather different way than the DRC. In an early award of 2007, the CAS refused to give too much weight to the Portmann report and focused its reasoning on other circumstances. Yet, the ensuing awards did not follow suit on this approach. In its more recent awards, the CAS held that the criteria constitute soft guidelines and often de facto relied on them to reach its conclusion on the validity of an option. In one occasion, the CAS even added to the list of requirements two criteria, “emanating from recent developments in the FIFA DRC and CAS jurisprudence”, namely (i) the proportionality between the extension and the main contract and (ii) the desirable limitation of the number of extensions to one. Regarding the relevance of the Portmann criteria, it seems that the only shared trait between the DRC and the CAS is that both have drifted away from their approach. Though, in quite opposite ways. The question of the increase of the player’s salary is considered central, by both the DRC and the CAS, in deciding the validity of UEOs. In fact, an improvement of the player’s salary is considered by the DRC as a possible ‘validating’ circumstance since the first published decision on the issue. The FIFA Chamber placed particular emphasis on the necessity to offset the unequal bargaining power that UEOs give to football clubs. To do that, a significant economic gain for the player must be envisaged in the contract as a result of the extension. In the view of the DRC, this is a necessary but sometimes not sufficient condition for the validity of a UEO, since the specification of the financial terms of the renewal in advance “necessarily cannot take into account, neither by the player nor the club, the possible enhancement of the player’s value, and hence earning power, over a two year period”. In its awards on the matter, the CAS contends that the player must derive a clear economic advantage from the exercise of the option. Thus, the increase in salary is the only requirement that is fully embraced by both the DRC and the CAS. It is interesting to note, however, that in only one occasion did the CAS explicitly mentioned that “[e]ven if the financial terms had to be specified in advance, they necessarily take no account of the possible enhancement of a players value – and hence earning power – over a five year period e.g. : if he becomes an international player during that time”. It is also worth noting that, at least in one award, the CAS concluded that an increase in salary has to be evaluated only in relation to the previous economic conditions of the player’s contract and not in relation to the salary he could earn somewhere else. In light of the above, it is safe to conclude that an UEO coming with a substantial increase in salary for the player has good chances to be deemed valid by the DRC and the CAS. To this end, a few additional observations are relevant. Firstly, how much is enough? Unfortunately, no clear guidelines can be derived from the case law. Secondly, it is practically impossible to predict the increase in value of a football player over a long-term period. Consequently, what can be considered a reasonable increase in salary at the signing of the contract might be deemed insufficient a few years later. Lastly, and probably most importantly, this approach might overlook the fact that an increase in salary is not always the only element a footballer takes into account in his career, as sometimes more personal considerations might push a player to move to a different club in another country. For instance family reasons might play a significant role in such a decision. Furthermore, football players might often consider more convenient for the development of their careers to give up on an increase in salary in order to have the chance to move to a club with more playing opportunities. An increase in salary, even substantial, should not be the altar on which a footballer’s fundamental freedom of movement and, ultimately, of choice is sacrificed. 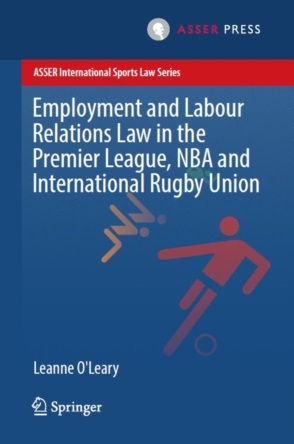 The player’s stance has often been evaluated by the DRC in particular as a concurrent element in determining the validity of an UEO. The main argument is that a certain behaviour of the player, such as keeping training and playing official matches with the club, implies a tacit acceptance of the extension. Once again, the DRC and the CAS are not entirely on the same line. The DRC jurisprudence gives more weight to this aspect, while the CAS has mentioned that particular attention has to be paid to “the player’s conduct during the period leading to the negotiation of the alleged extension clause” only in one single case. With regards to the circumstance that the player has played in official matches as a consequence of the extension, the DRC showed a swinging trend. In one instance, it deemed it not relevant. Yet, in a subsequent decision (the only one by the DRC upholding the validity of an UEO to date), the fact that the player had kept taking part in training sessions and playing official matches for the club after the extension had quite a different impact on the reasoning of the Chamber. More recently, the DRC stated that the fact that the player trained with the club for a month after the alleged renewal does not imply his tacit acceptance of the unilateral extension. As seen in the first part of this blog, each national jurisdiction interprets the validity of UEOs differently. Consequently, the choice of applicable law can play a major role in the outcome of a case, although the issue arises mainly when the dispute is brought before the CAS. The matter is complicated by the fact that CAS panels have a certain degree of discretion in deciding the law applicable to a dispute, and by the circumstance that even when they apply the same law they might reach different conclusions. With regard to the latter point, let us take into consideration two cases in which the CAS has established Greek law as the applicable law. In one occasion the Panel deemed “appropriate to mitigate the letter of Greek law by the spirit of general principles”, as its content concerning UEOs was considered inconsistent with “general principles of labour law” and consequently dismissed the appeal of the club. In another one, instead, the Panel concluded that the dispute had to be decided according to FIFA Regulations and Swiss law on a subsidiary basis, “with the important exception of any issues related to the Contract […] which shall be decided in accordance with Greek law”. Therefore, given that in Greece unilateral options allowing clubs to automatically extend employment contracts are legal, the Panel upheld the validity of the clause. A radically different approach was taken by the CAS in the Atlético Peñarol case discussed above. In the absence of an express choice of law of the parties, the Panel deemed the FIFA Regulations and, subsidiarily, Swiss Law applicable. It is worth recalling the reasoning of the Panel, as it could pave the way to a reasonable solution for the UEOs issue. The arbitrators noted that the application of art. 187 of the Swiss LDIP gives wide freedom of choice to the parties, who can even require the arbitrators to decide ex aequo et bono, i.e. without any reference to specific State laws. This means that art. 187 LDIP allows, a fortiori, to refer to rules that transcend the particular State laws, such as sports regulations. The Panel stressed that sport is a phenomenon that naturally crosses borders, and thus it is necessary to ensure uniform legal standards. Only if the same terms and conditions apply to everyone who participates in organised sport, is the integrity and equal opportunity of sporting competition guaranteed. In practice, the FIFA Statutes and Regulations provide such uniform rules. Additionally, the arbitrators underlined that the application of Uruguayan law would lead to a result incompatible with the minimum standards of protection of employees provided by Swiss labour law. Hence, the CAS concluded that the Uruguayan system of UEOs is not compatible with the FIFA Regulations. Furthermore, the Panel noted that these options effectively bypass the basic principles of the FIFA regulations, which “very particularly protect the interests of training clubs through training compensation and the solidarity contribution […] It is not possible that this protection of the contents of a contract between clubs and players can be bypassed in order to serve only the interests of one party, in this case the club, which does not itself have to make a commitment. So the Panel considers that the unilateral contract renewal system is not compatible, in its very principle, with the legal framework which the new FIFA rules were designed to introduce”. In other words, the Uruguayan system seemed to reintroduce, through the backdoor, the system that was abolished with the reforms of the FIFA Regulations 1997, 2001 and 2005.In such a system the player is bound to a contract negotiated at a moment of his career when he did not have a strong bargaining power. Which is to say, the player is left at the mercy of the club. The arbitrators stressed that only the most talented players can escape this mechanism, when the club receives an important transfer offer for their services.In that occasion, the player will hardly refuse the transfer knowing that, doing otherwise, he will be bound to the club because of the UEO in his contract. We have seen in part 1 of this blog that we lack a coherent regulatory framework for UEOs at the national level. This second part has also shown that things are not much clearer at the DRC and the CAS, as the two bodies, while agreeing on the existence of certain criteria, take different approaches on the assessment of each of them (except for the increase in salary). Furthermore, the outcome of a case can be heavily dependent on the applicable law. Consequently, the future validity of UEOs is uncertain, given that no uniformity can be found in the CAS jurisprudence. The uncertainties related to the applicable law issue are manifold. Upholding the validity of national law, although granting some advantages in terms of foreseeability, presents two main drawbacks. First of all for the clubs which draft the contracts and cannot predict to what extent this law will be deemed applicable by the CAS and, consequently, are unable to draft the contract with all the necessary information desirable in respect to UEO clauses.Secondly, and most importantly, this approach overlooks the fact that football is a global phenomenon, and the transfer market a transnational one, which requires uniform rules at the international level. The conclusion reached by the Panel in the Atlético Peñarol case is a fair starting point in the quest for more certainty in the matter. The undisputable merit of that award was to clearly highlight (i) the unequal nature of a clause that is accepted by the player at the early stages of his career and (ii) the necessity to have a body of regulations that can be understood and predicted by the entire international football family. Let us conclude, therefore, that only the universal application of a set of regulations, such as the FIFA RSTP, would ensure legal rationality, predictability and, significantly, “the equality of treatment between all the addressees of such regulations, independently of the countries from which they are”. A fortiori, when at stake is the fundamental freedom of movement and choice of footballers, the need to rely on a uniform body of principles and rules, a lex sportiva, universally applicable without discrimination becomes crucial. However, applying the FIFA Regulations in a standardised way still leaves a problem unsolved. This body of rules is in fact silent on the very issue of UEOs. FIFA could tackle the issue in a variety of ways, for instance by codifying in the RSTP a revisited version of the Portmann criteria. Suggesting precise reforms to FIFA goes beyond the purpose of this blog, but one thing is sure: in the face of the extreme uncertainty that surrounds the validity of these clauses, having one single body of rules expressly targeting the issue and universally applicable would be of great help to all the parties involved. The case concerned the contracts of two Uruguayan players, Carlos Heber Bueno Suárez and Christian Gabriel Rodríguez Barotti with the Uruguayan football club Atlético Peñarol. Pursuant to their contracts, the professional services of Bueno and Rodríguez could be extended unilaterally by the club for two years, provided that their salary would increase in accordance with the National Consumer Price Index. At the end of the season, and after being suspended and deprived of the possibility of playing for four months, the players signed for the French club Paris Saint Germain, and refused the club’s unilateral extension. See TAS 2005/A/983 & 984, Club Atlético Peñarol v. Carlos Heber Buen Suárez, Christian Gabriel Rodríguez Barotti & Paris Saint Germain, award of 12 July 2006. In fact, the framework has slightly changed over the last few years in South America. In Argentina, for instance, the 2009 Collective Bargaining Agreement (CBA) n. 557/09, signed by the Association de Futbol Argentino (AFA) and the Union of Amateur and Professional Football Player provides the current guidelines. In this context, contracts of athletes who have reached the age of 21 can be extended once for one year only, provided that a salary increase of 20% is guaranteed as a consequence of the extension. Extension options for players older than 21 shall be considered null and void, even in the circumstance that AFA has registered the contract, and consequently the player is to be declared a free agent and thus free to sign a contract with another club (see Colucci, Hendricks, Regulating Employment Relationships in Professional Football, A Comparative Analysis, European Sports Law and Policy Bulletin 1/2014, 26). See also Juan de Dios Crespo Pérez’s commentary of the case in A. Wild (ed.) CAS and Football: Landmark Cases (2011), 118. F. de Weger, The Jurisprudence of the FIFA Dispute Resolution Chamber, 169. Prof Portmann considered South American law the law applicable to the substance of the matter. Nevertheless, according to the author, in order to be considered valid, the option not only had to be consistent with local employment law, Collective Bargaining Agreements and regulations of the relevant national association, but it also had to respect mandatory rules of Swiss law and Swiss ordre public. Although he considered the principle of parity of termination rights not part of ordre public per se (and, therefore, the circumvention of that right that these clauses entail not problematic in itself), he stressed that an excessive self-commitment of one of the parties to a contract could indeed result in an infringement of Swiss and international ordre public. In the unpublished decision 12 January 2007 (see F. de Weger, The Jurisprudence of the FIFA Dispute Resolution Chamber, 169), the DRC made reference to the five elements of the Portmann report to conclude that the option was not valid because, among other considerations, the notice period was too short. See decision 30 November 2007 n. 117707 and decision 7 May 2008 n. 58860. See decision18 March 2010 n. 310607, where the DRC interestingly pointed out that the inequality derives from the fact that the player, given the circumstances of contractual inferiority existing at the time he signs his first contract, either accepts the contract with the UEO or gives up on playing football with that team. TAS 2005/A/983 & 984, Club Atlético Peñarol v. Carlos Heber Buen Suárez, Christian Gabriel Rodríguez Barotti & Paris Saint Germain, award of 12 July 2006, para. 66. CAS 2006/A/1157, Club Atlético Boca Juniors v. Genoa Cricket and Football Club S.p.A., Award of 31 January 2007, para. 16. The Panel had “great difficulty in following Dr Portmann’s reasoning, and in accepting the validity and enforceability of a unilateral option”. The arbitrators deemed more important, instead, to put emphasis on the general assumption that a person, and a fortiori a minor who had just moved with his family to another country, cannot be required to perform a contract for personal services against his or her will. The CAS held recently that “these criteria may be taken into consideration and are important, but […] they are not absolute rules, the failure of which would determine the absolute invalidity of the option clause”, in CAS 2014/A/3852, Ascoli Calcio 1898 S.p.A. v. Papa Waigo N’diaye & Al Wahda Sprts and Cultural Club, award of 11 January 2016, para. 86. More precisely, a Panel held “the need to not accord too much weight and value to the Portmann criteria at the expense of the very important specifics and circumstances behind each individual dispute” CAS 2013/A/3260, Grêmio Foot-ball Porto Alegrense v. Maximiliano Gastón López, Award of 4 March 2014, para. 76, see also para. 68-69. In Decision 22 July 2004, the DRC noted that because the player’s economic conditions remained substantially unaltered in the renewal, the option was invalid. See Decision 23 March 2006, para 14. In this case, the DRC deemed that a monthly increase of less than € 1.000 of the player’s salary could not be seen as a significant economic gain for the player. See CAS 2004/A/678, Apollon Kalamarias F.C. v. Oliveira Morais, award of 20 May 2005, para. 21 and TAS 2005/A/983 & 984, Club Atlético Peñarol v. Carlos Heber Buen Suárez, Christian Gabriel Rodríguez Barotti & Paris Saint Germain, award of 12 July 2006, para. 93. See also CAS 2005/A/973, Panathinaikos Football Club v. Sotirios Kyrgiakos, Award of 10 October 2006 and CAS 2013/A/3260, Grêmio Foot-ball Porto Alegrense v. Maximiliano Gastón López, Award of 4 March 2014, para. 77. CAS 2004/A/678, Apollon Kalamarias F.C. v. Oliveira Morais, award of 20 May 2005, para 21. See CAS 2005/A/973, Panathinaikos Football Club v. Sotirios Kyrgiakos, Award of 10 October 2006, para. 23. In which the Panel considered inappropriate to compare between the salary of the extended contract from the Greek club and the salary the footballer would have received at a club in the Scottish league (the Rangers FC) since “it is well known that football clubs operating in richer markets are able to offer a higher income to players”. CAS 2013/A/3260, Grêmio Foot-ball Porto Alegrense v. Maximiliano Gastón López, Award of 4 March 2014, para. 70. See Decision 13 May 2005. Here the DRC also pointed out the non-decisiveness of the acceptance by the player of a payment of €1,950 after the extension as a result of the new contract. See Decision 21 February 2006, in which the DRC noted that: (i) the player had waited almost five months after the beginning of the extension to bring the case before the FIFA. See Decision 31 July 2013. CAS 2004/A/678, Apollon Kalamarias F.C. v. Oliveira Morais, award of 20 May 2005, para 24. The Panel dismissed the appeal of the club even though its contract with the player seemed to be drafted in conformity with Greek Sports Law, which – pursuant to Law 2725/99 – allows for the unilateral renewal of the contract provided that (i) the overall duration of the contract, including the extensions, does not exceed five years and that (ii) the financial terms are agreed at the signing of the initial contract. CAS 2005/A/973, Panathinaikos Football Club v. Sotirios Kyrgiakos, Award of 10 October 2006, para.10. The Panel, which considered “inappropriate to apply substantive Swiss law to the contract as it has no connection whatsoever with Switzerland (para. 8), made reference to the same Law 2725/99. TAS 2005/A/983 & 984, Club Atlético Peñarol v. Carlos Heber Buen Suárez, Christian Gabriel Rodríguez Barotti & Paris Saint Germain, award of 12 July 2006, paras. 81-83 (the translation is of the author). J-S Leuba, R Fox, J de Dios Crespo Pérez, G L Acosta Perez and F m de Weger, ‘Contractual Stability: Unilateral Options’, in A. Wild (ed.) CAS and Football: Landmark Cases (2011), 119.